Major airlines servicing Orlando are Delta, United, American, Continental, Southwest, Northwest, America West, Air Canada, and US Airways. Walt Disney World is comprised of four main theme parks: The Magic Kingdom, Epcot, Disney-MGM Studios, and the Animal Kingdom. Additional offerings include two water parks, Blizzard Beach and Typhoon Lagoon, as well as Disney’s Wide World of Sports, six golf courses, and miles of waterways for boating and fishing. Head to Downtown Disney where you’ll find over 70 scene-setting restaurants, shops, and nightclubs as well as Cirque du Soleil, Disney Quest, and an AMC 24-screen movie theatre. Summer brings uncomfortably muggy and warm days with almost daily afternoon showers while winter offers many days of beautiful sunshine along with the occasional cold snap. Peak hurricane season begins in August and runs through October, so be prepared for a washout. The best months of the year with delightfully mild and humid-free weather, relatively small amounts of rainfall, and no danger of hurricanes are November, April, and most of the time in early May. Disney’s complimentary transportation system of buses, ferries, and monorails is in most cases extremely efficient. Taxis can be found at every resort and theme park. If you prefer to rent a car, the convenient Central Florida Greeneway toll road from the airport makes for an easy 25-minute drive to the parks. Once inside the Disney World grounds, excellent signage will direct you to all destinations. Send for a free Disney vacation planning video or CD-ROM (call 800-515-9450 or visit www.disneyworld.com to order) and call the Orlando/Orange County Convention & Visitors Bureau (800-551-0181 or 407-363-5871) for maps of the area as well as a visitor’s guide on the many area attractions. Log on to the following Disney-related sites on the Internet where you will find thousands of tips along with photos, menus, and much, much more: www.disneyworld.com, www.luxurydisneyguide.com, www.wdwinfo.com, www.wdwig.com, and www.mousesavers.com. Call 407-WDISNEY or your travel agent for Disney resort reservations. Dining priority seating can be arranged at 407-WDW-DINE. Provided the following credit is given, you are welcome to reprint this article for free. Cara Goldsbury is the author of The Luxury Guide to Walt Disney World: How to Get the Most Out of the Best Disney Has to Offer. Visit her at www.wdwluxuryguide.com. vacation rentals directory, and want to offer windsor hills owners with a Huge oportunity to LIST YOUR RENTAL FOR JUST USD 9 a year!! So Hurry, this is a LIMITED TIME OFFER! No hidden costs, no commission no fees…You have nothing to lose. 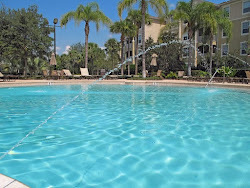 Homesvacationrentals provides the most reliable, inexpensive and simple method for vacation home owners and property managers to advertise and rent directly to the vacationing public all types of vacation home rentals. Join us today and become part of one of the fastest growing online vacation rental directories!